Extracting precious gas from a deposit in North Carolina is a dirty, dangerous job. 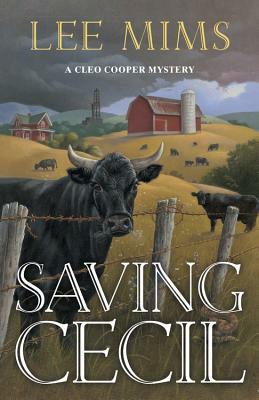 Geologist Cleo Cooper won't let the distraction of a dead body found near the drill sight interrupt her focus--until the county sheriff Cleo never wanted to see again arrives on the scene. Twenty-five years ago, tragedy fell on Cleo's family, creating a rift between her and her father that has never healed. And Sheriff Clyde Stuckey was the cause. Now Cleo can't help but remember the painful events she thought were buried by history as she tries to steer clear of a powerful man who's hell-bent on making her suffer. Debut author Lee Mims holds a master's and bachelor's degree in geology from the University of North Carolina–Chapel Hill, and once worked as a field geologist. She is a member of Mystery Writers of America and Sisters in Crime. Currently a popular wildlife artist, Hiding Gladys is her debut novel. She lives in Raleigh, N.C. Visit the author online at LeeMims.com.